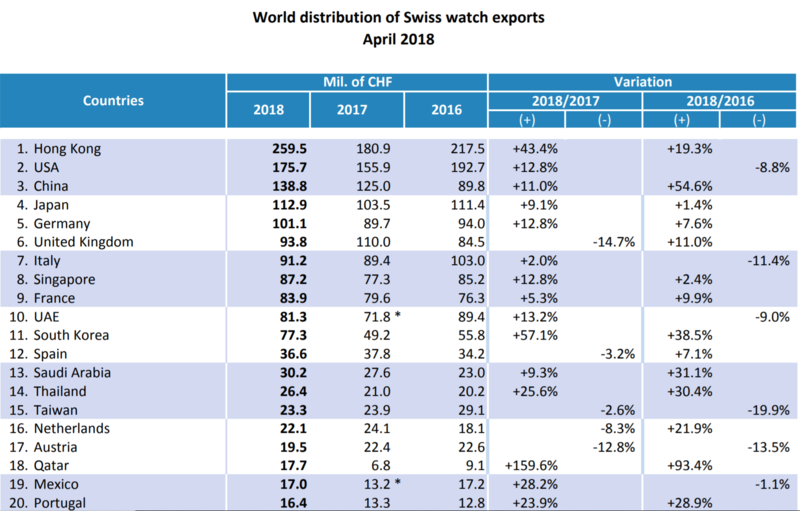 The British watch industry has struggled to match the stratospheric results of 2017 this year, but October saw a notable return to growth with a 5% increase of Swiss watches. 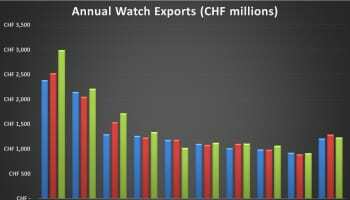 The total for October of CHF 128.5 million is the highest monthly import figure since November 2016’s CHF 129.4 million. 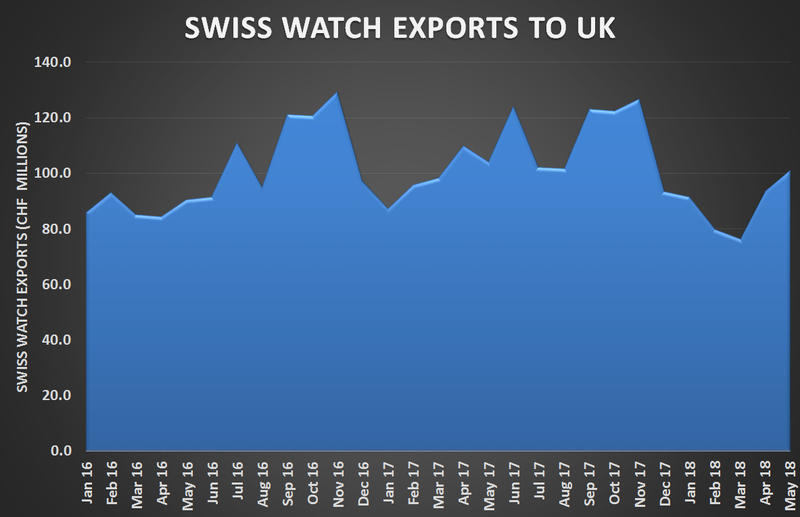 Q4 of 2016 was one of the hottest periods on record as the devaluation of sterling after the Brexit vote gave the UK a massive price advantage for luxury watches over other European or dollar-based countries. 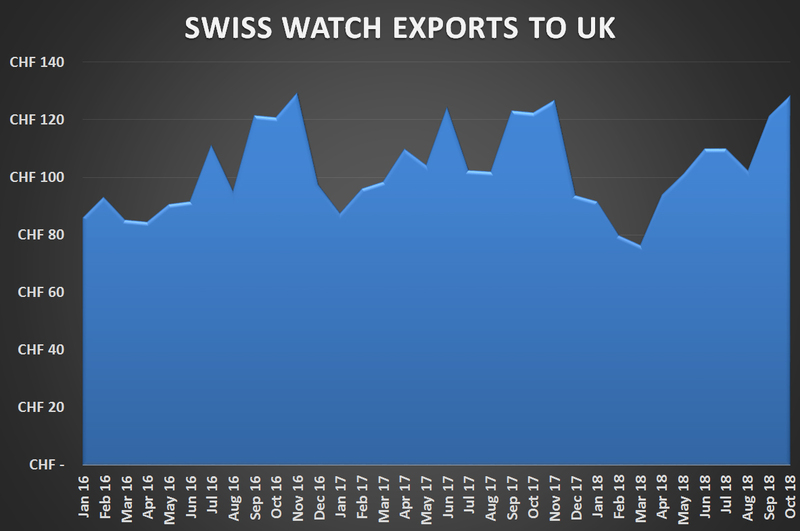 For the first 10 months of 2018, Swiss exports to the UK are still running at 5% below the same period last year, but is recovering after a significant year-on-year dip of over 20% in March. 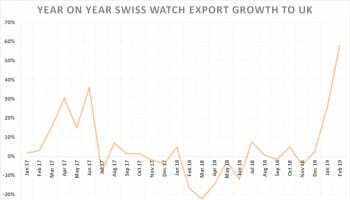 After a dip in September, global exports of Swiss watches have returned to growth in October, and remain on track to end the year up by over 7%. 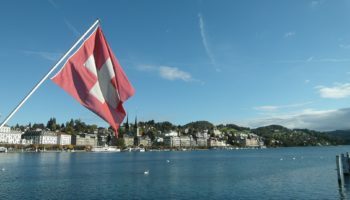 Fears that China and Hong Kong may be slowing down appear to be unfounded. 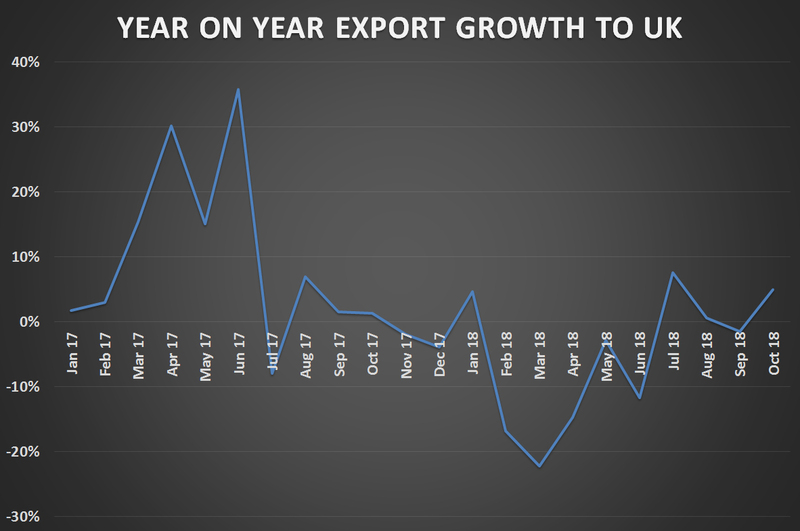 Exports to China were up 24.1% in October and Hong Kong rose by 10.3%.